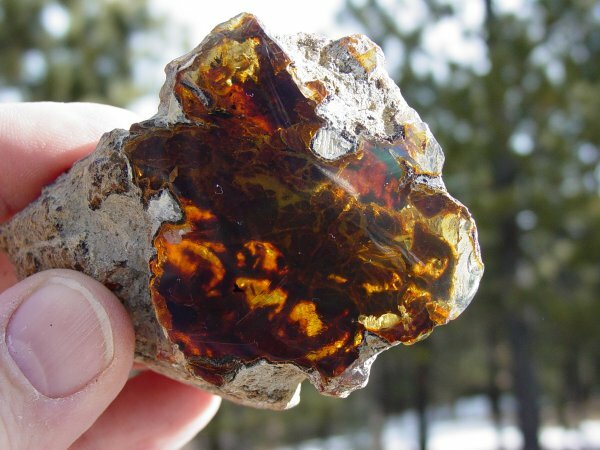 This is a BIG chunk of amber. Good green with a hint of blue. This is a very large piece and is clear throughout. This is a fairly good sized piece, 30.5 grams. 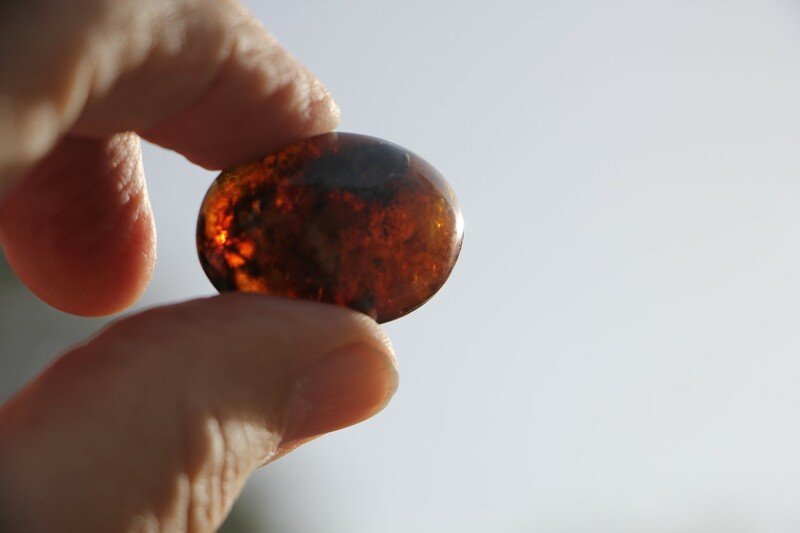 It is a beautifulgreen (although the photos do not show this) The amber is fairly clear and good for just about anything you want it for. 10.2 grams of beautiful green. the inside is clear and the green is not deep - but it is there! 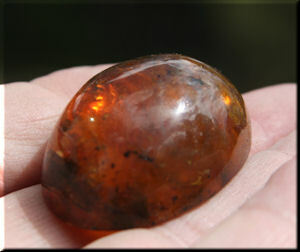 This is cab shaped, about 1.5 x 1 x .5 inches. 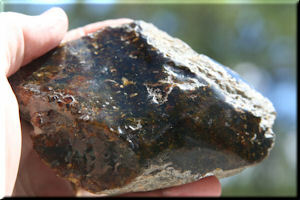 A large piece of Dominican green - 57 grams. About 3 x 1.75 x 1.25 inches. Only about 40% is polished. Good color - uniform inside. 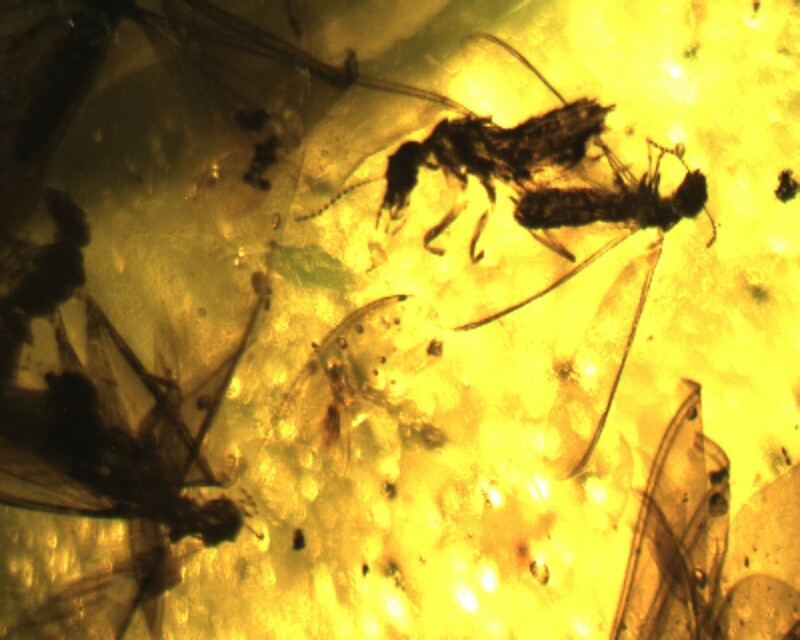 I would describe this as greenish yellow. Not a deep green - but definitely there. Nice piece for cutting or for further work. 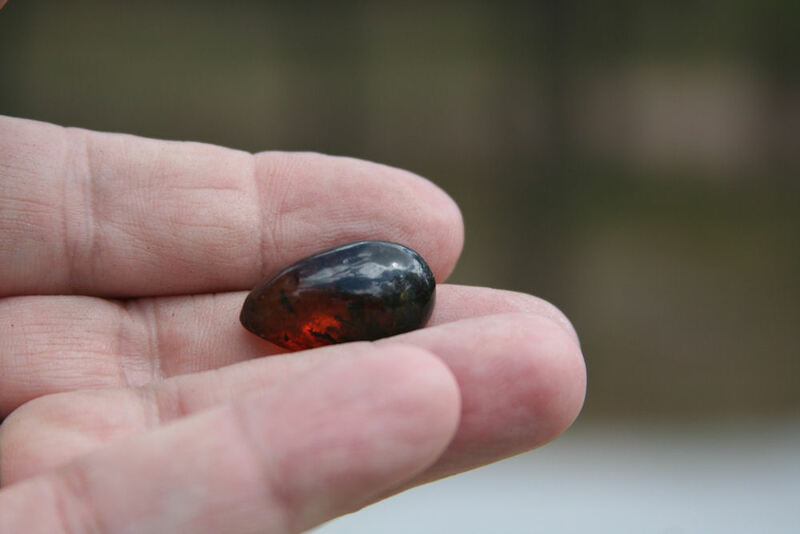 Interesting shape of 35.6 grams. 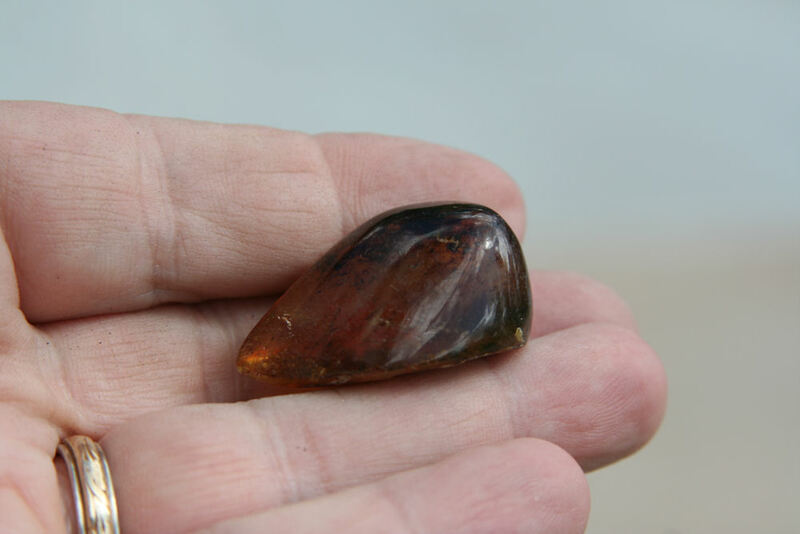 Magnificent cab shape to this 8 gram beauty. 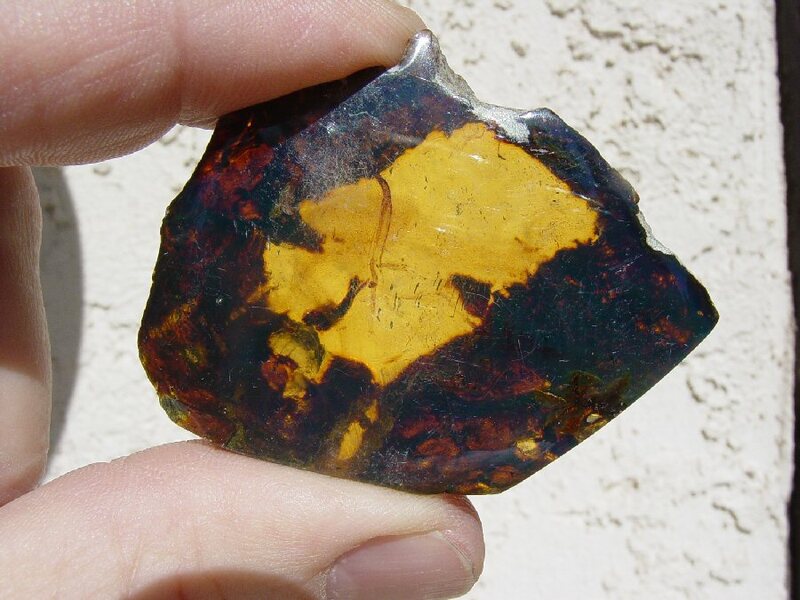 About 1.5 x .5 x 1 inch, this is clearish inside. Just a wonderful piece. A great piece almost transparent, being the lightest of green. It is like looking into a crystal clear lake. 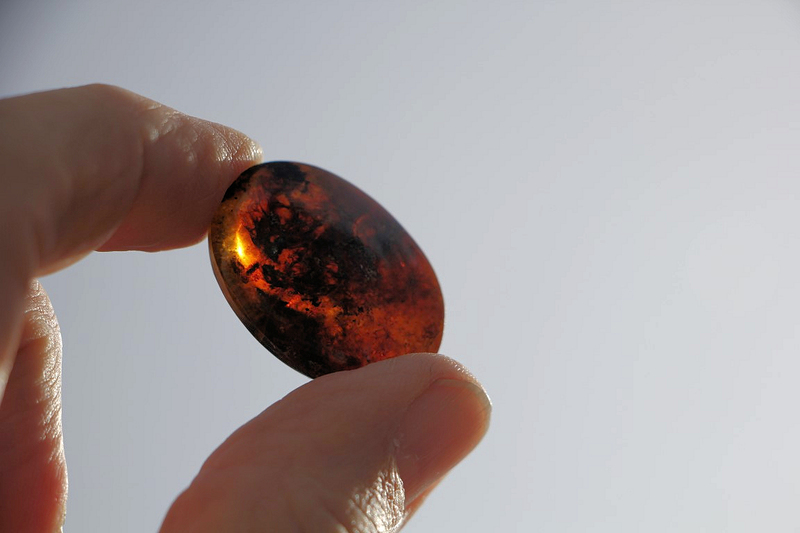 It is a beautiful piece of amber that you can do just about anything with. It weighs 113 grams and is about 4 x 3 x 1 inches. 14.2 grams of green. 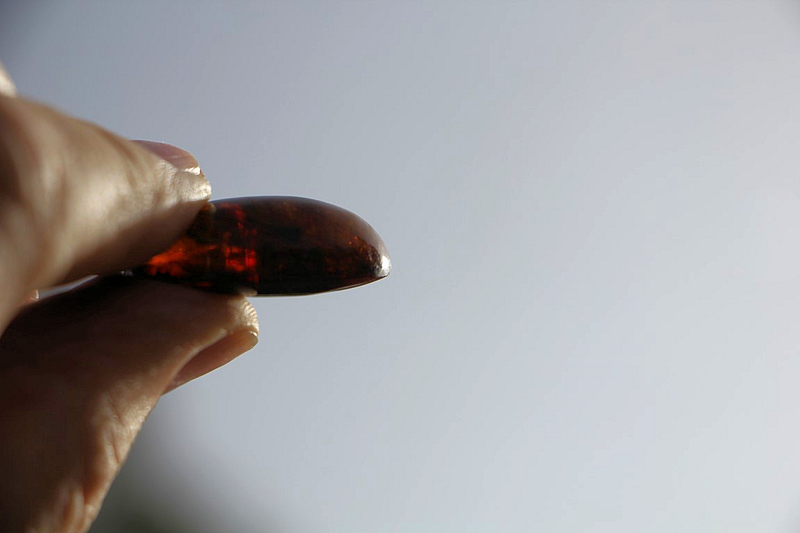 The piece is not exactly cab shaped, but close. 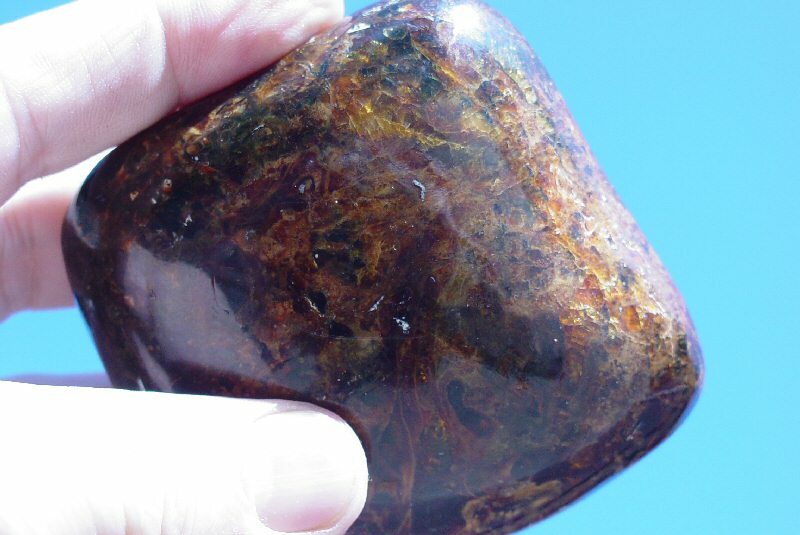 It is fairly clear inside and has an interesting olive green to it. 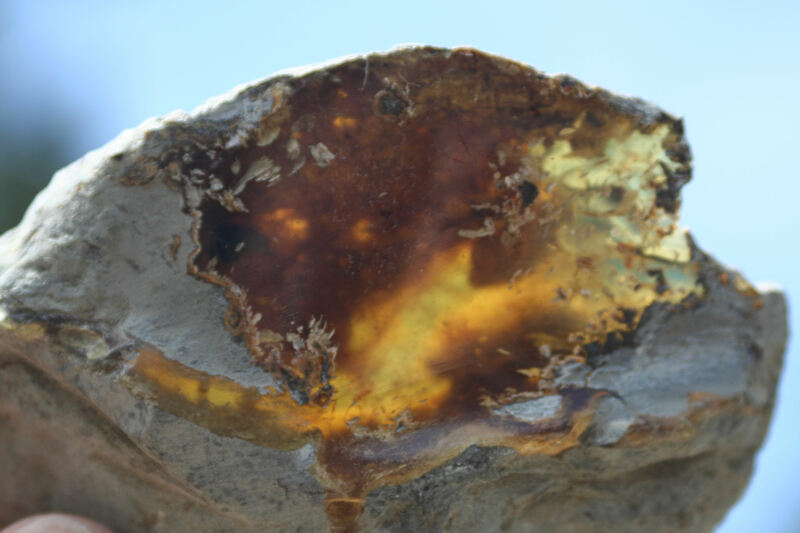 This is a massive piece of green amber. 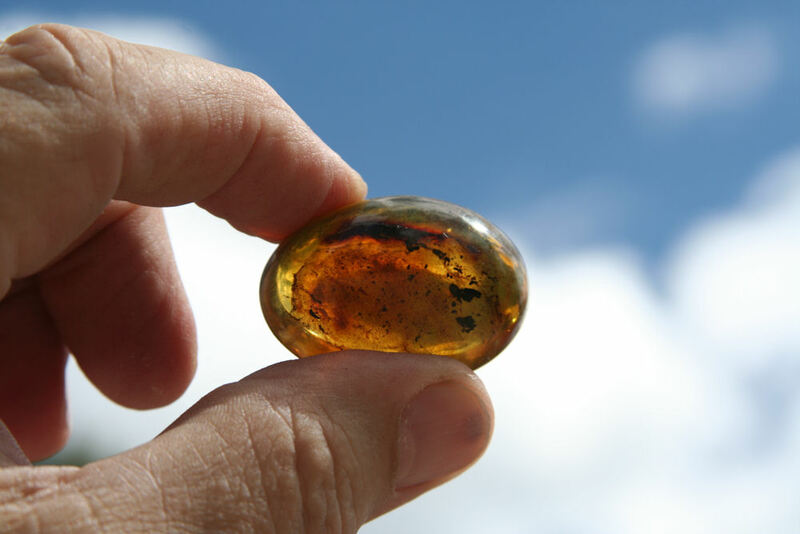 It is really green - yellow - amber color depending upon how you look at it. 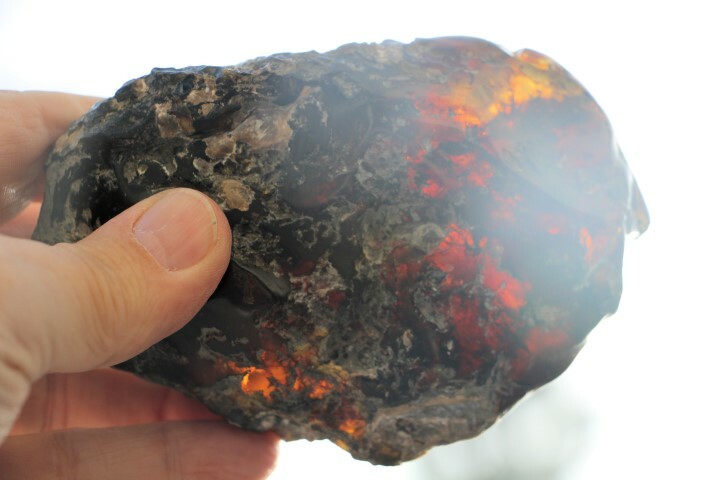 It is just big - 130 grams, about 4 x 2.4 x 1.5 inches. 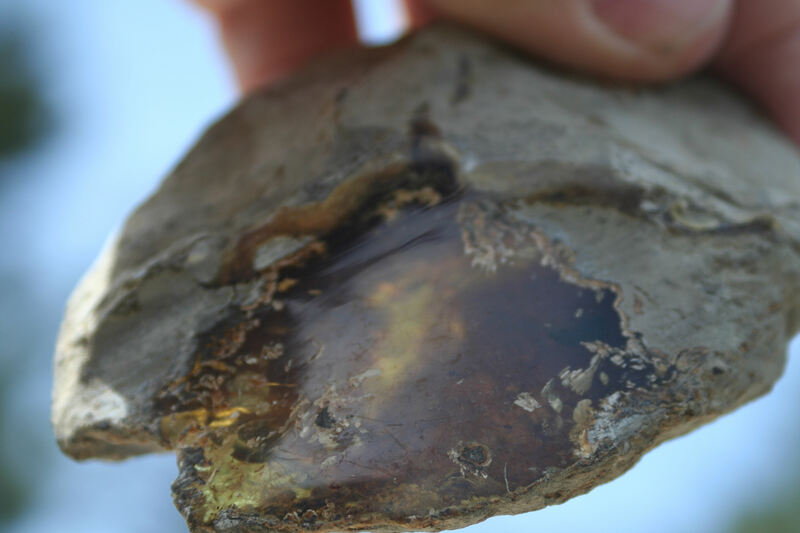 It is beautifully clear, you can see through it - just an impressive chunk of green amber. It is really cool. Rather large piece of olive green amber. 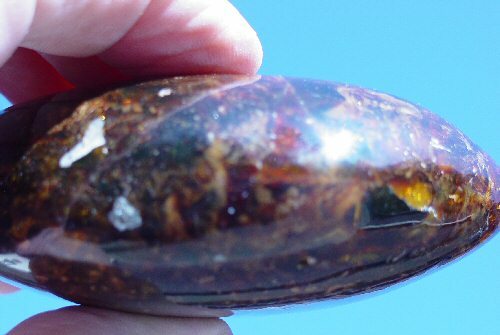 It weighs 27.7 grams and is 2.25 x 1.5 x 1 inch. 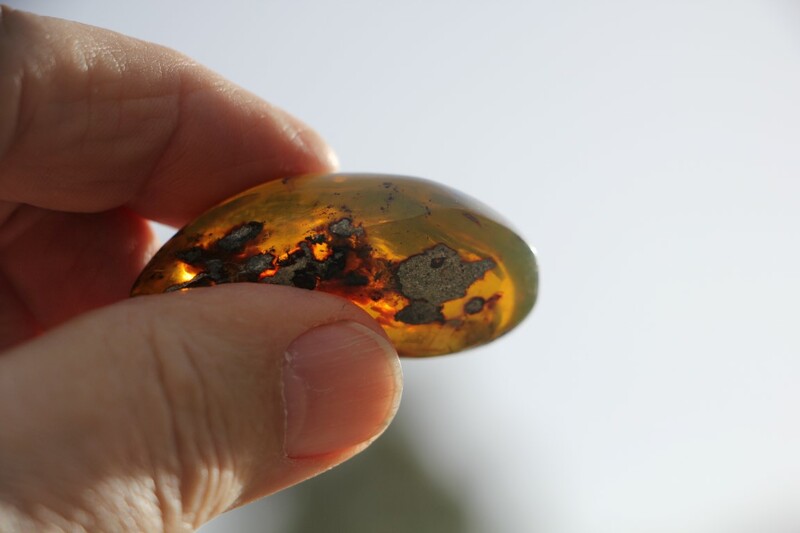 This is quite a piece of green amber. Rather large, being 130 grams in weight and solid! 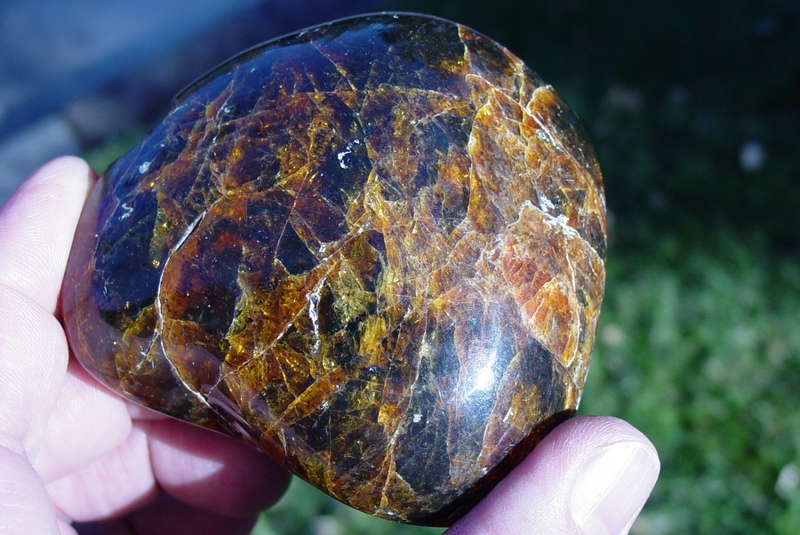 This is a green piece with swirls of yellow. Very unusual, I haven't seen one like this before. What a piece this is! 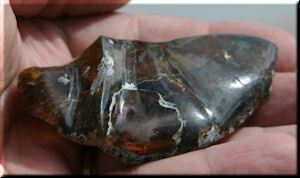 Very clear throughout, flat on both sides and not polished around it - you will need to see the pictures. 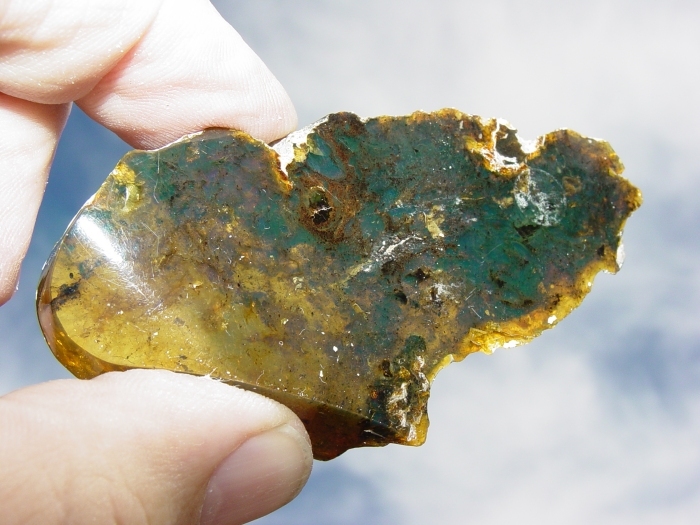 This has what I would term a wispy greenish blue.The green color is very light. 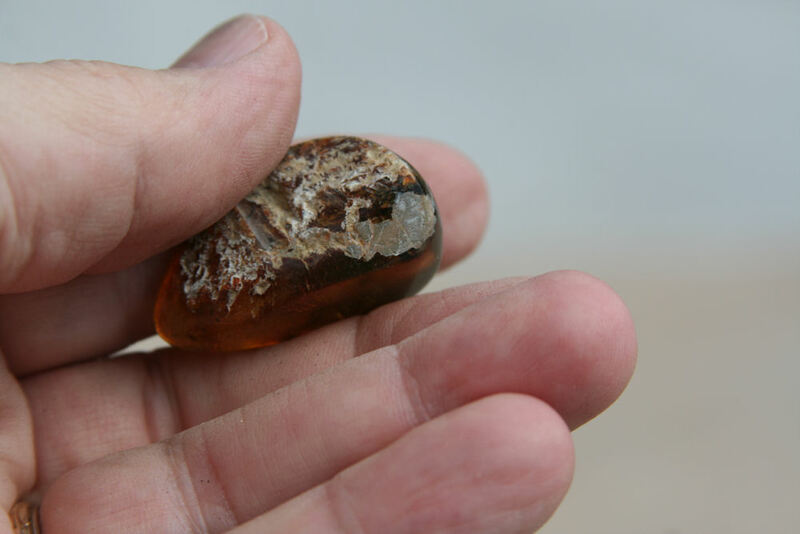 You can see right though this beauty - just great and large, 26 grams. Scanned Image! 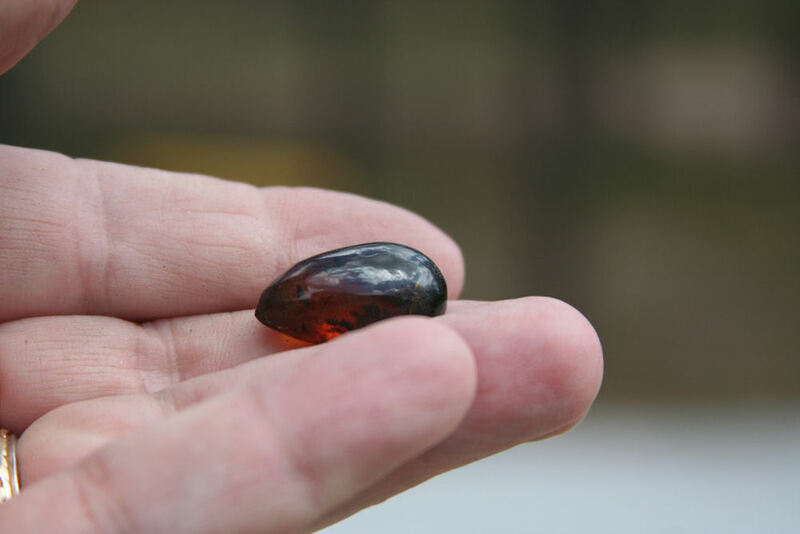 This 31.2 grams of green amber. The crack looking part is on the surface only. 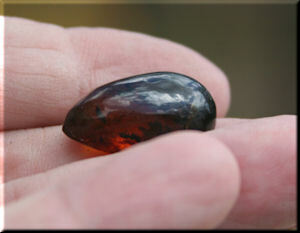 A beautiful cab shape, about 1.25 x .8 x .3 inches, this weighs 4.8 grams. A very nice piece. A very nice green with a rather clear center. 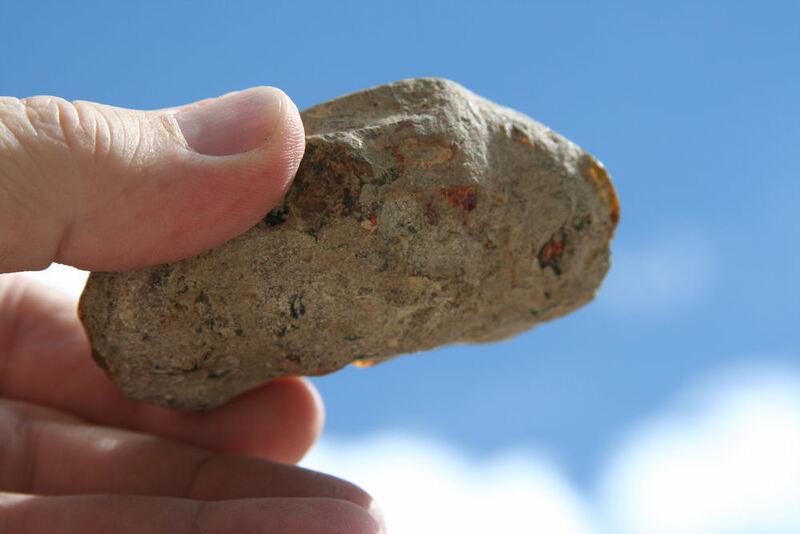 One side is unpolished (partly) and the other is polished. 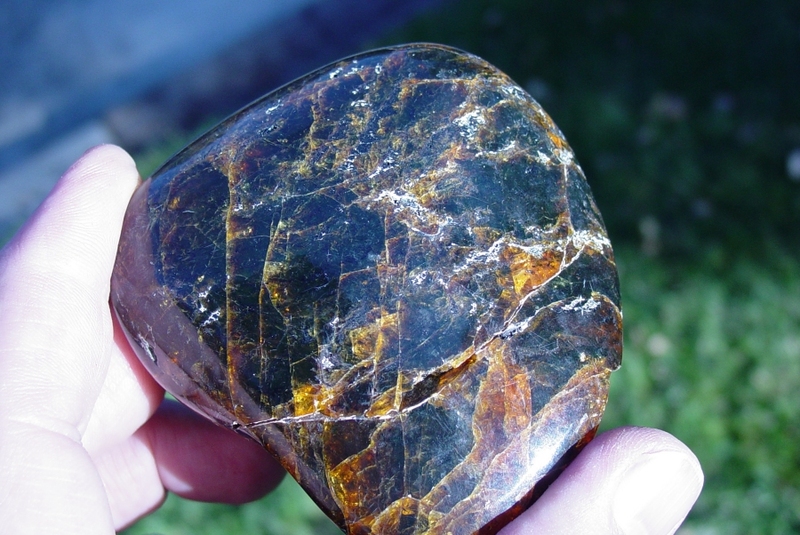 53.1 grams of green - very attractive - a lot can be done with this piece. 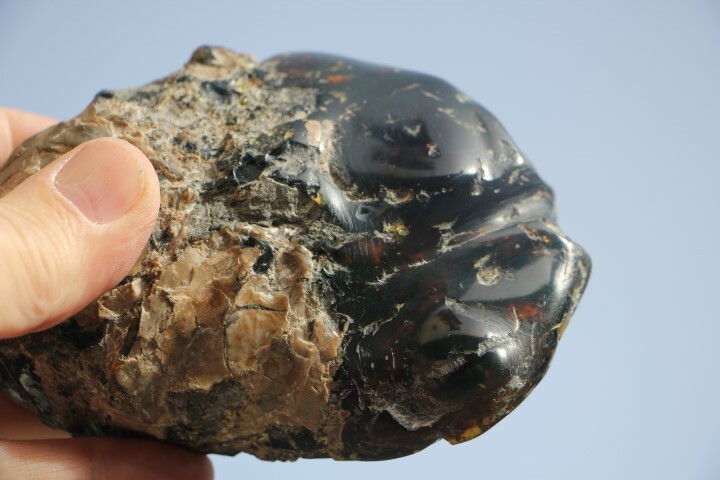 Hard to believe, but this piece weighs a whopping 306 grams - that is close to 3/4 pounds of green. I like this one. 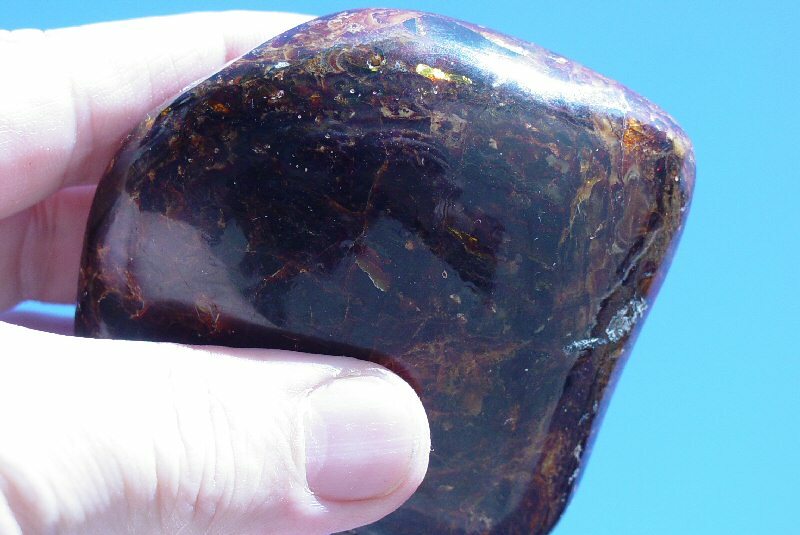 Only 2.2 grams - but it is cab shaped and "ready to build." good olive green - just a good piece. 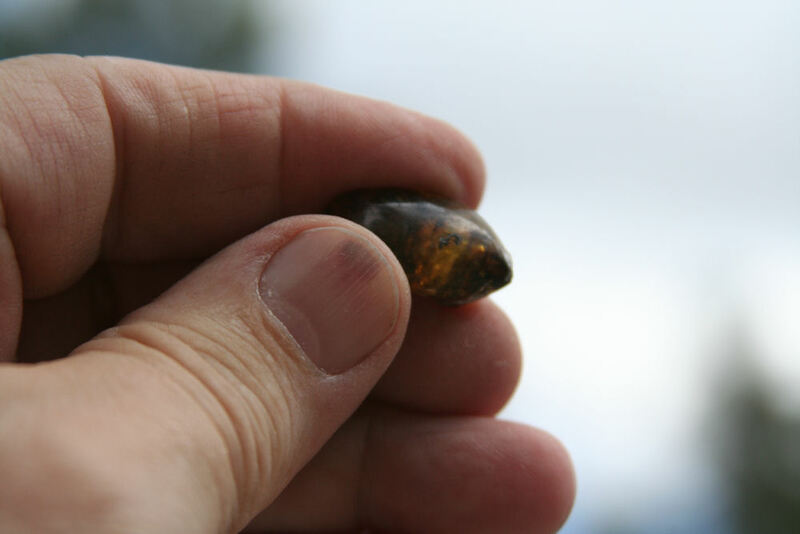 green Dominican amber that is about 26 million years old. The color is some of the more impressive color that I've seen. 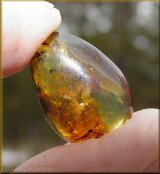 62.3 grams of interesting green amber. 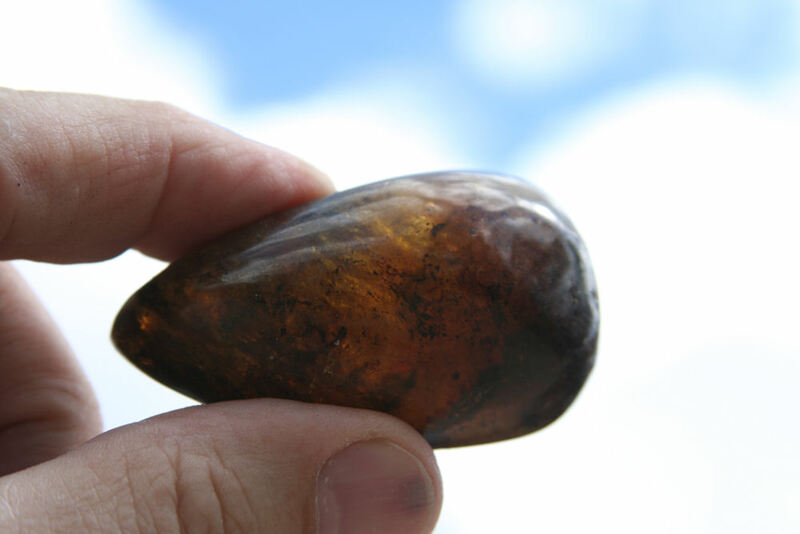 This is polished on one side and is a great piece of amber. This reminds me of looking into a green sea of water at Yellowstone National Park, wow. This is just a cool piece. 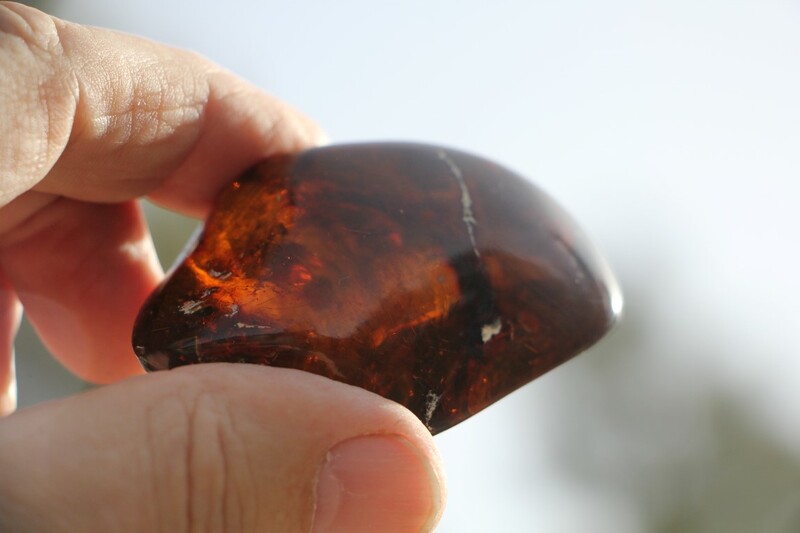 Impressive, this is a flattish piece that has a large edge and part of the top polished. Very nice green, this is a show piece. It weighs ton - 167.9 grams. 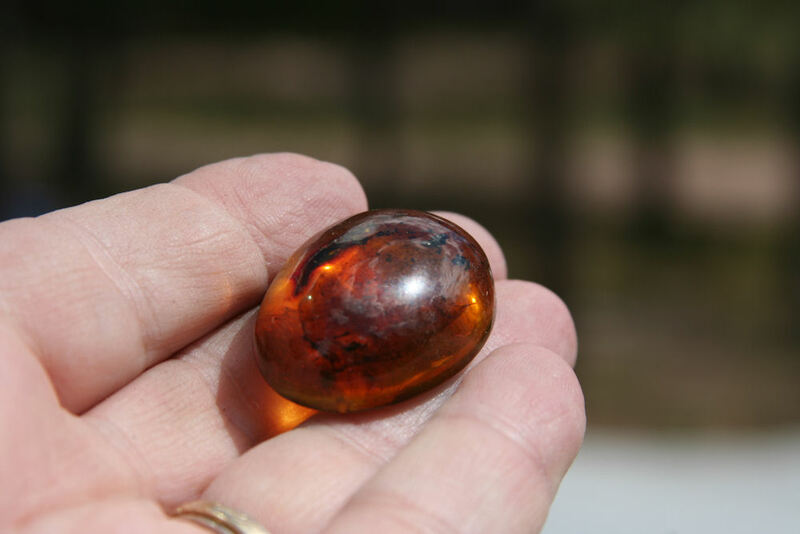 This will round out anyone's collection of amber. Is this one is a beauty! 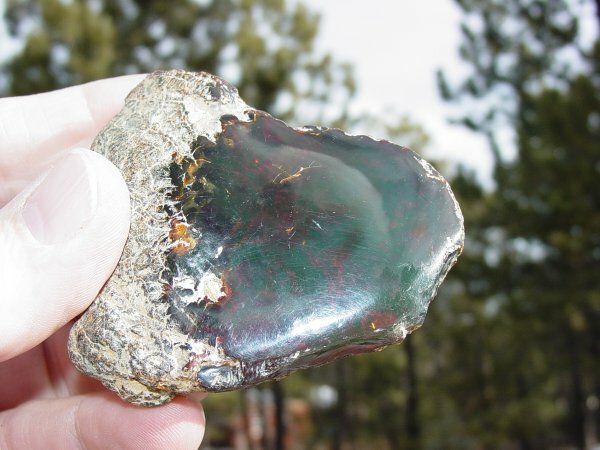 Large, deep green, this giant is 20.7 grams and as solid as they get. Almost fully polished, this guy also has some blue in it. 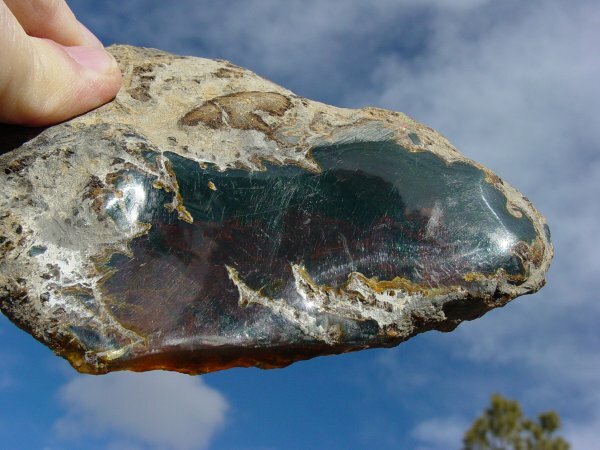 Boy is this a big piece of deep dark green. 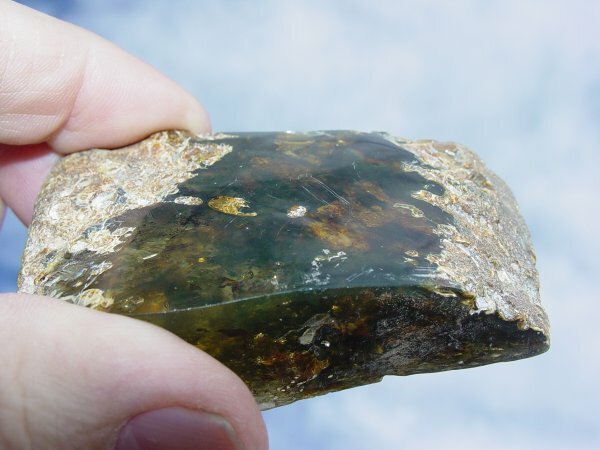 56.9 grams of polished green is rare. This is just as good as they get. You will enjoy looking at these pictures. You can use this just as it is! Does the word big ring a bell. 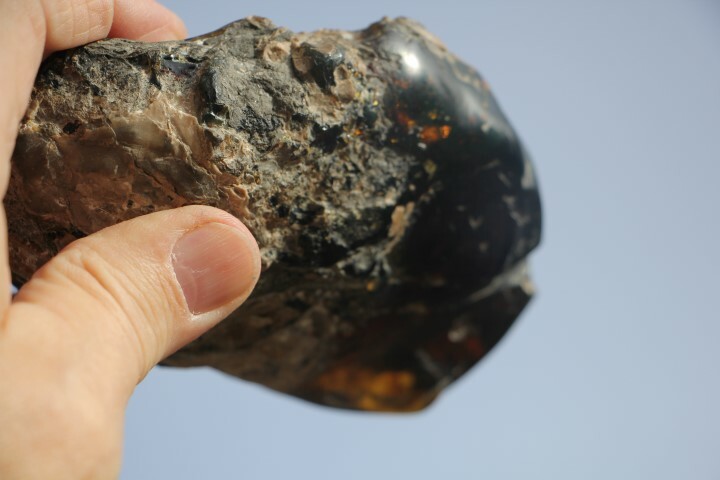 This behemoth is 193 grams and it is all dark green Dominican amber. It is approaching 1/2 a pound! That is big. 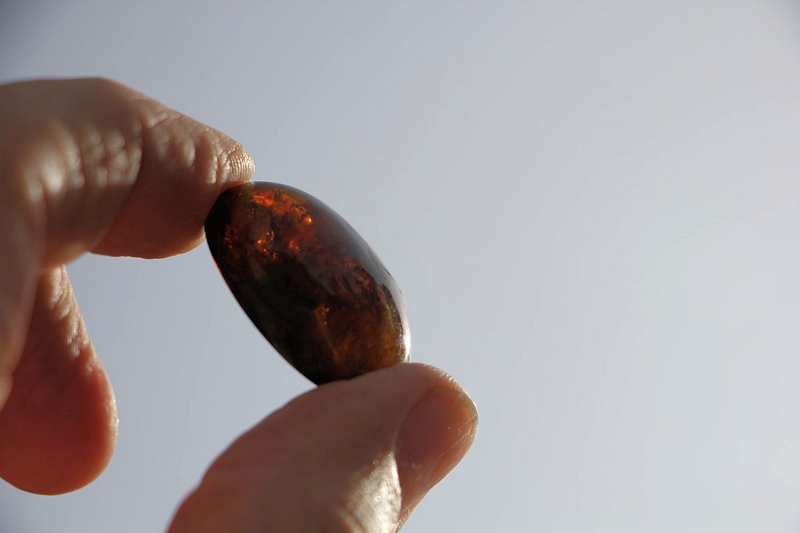 It is polished on one side. 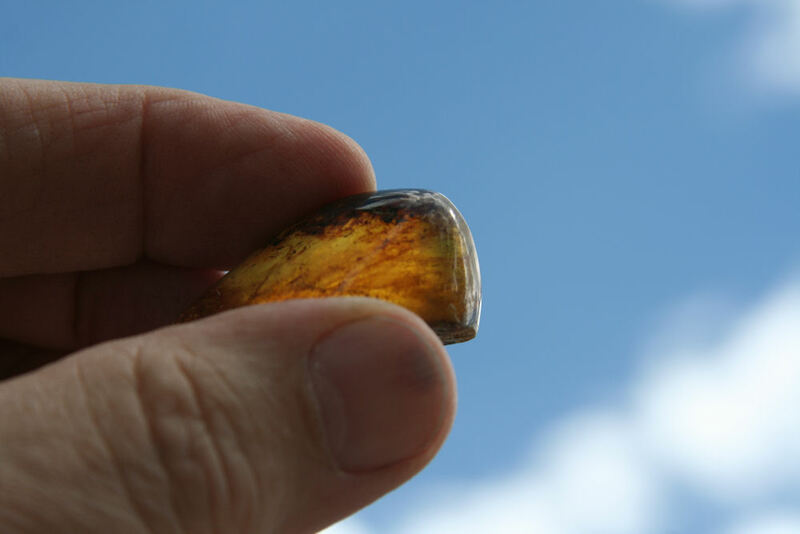 This really is a good solid piece of the rare Dominican green amber. You see this quality and size these so very seldom. 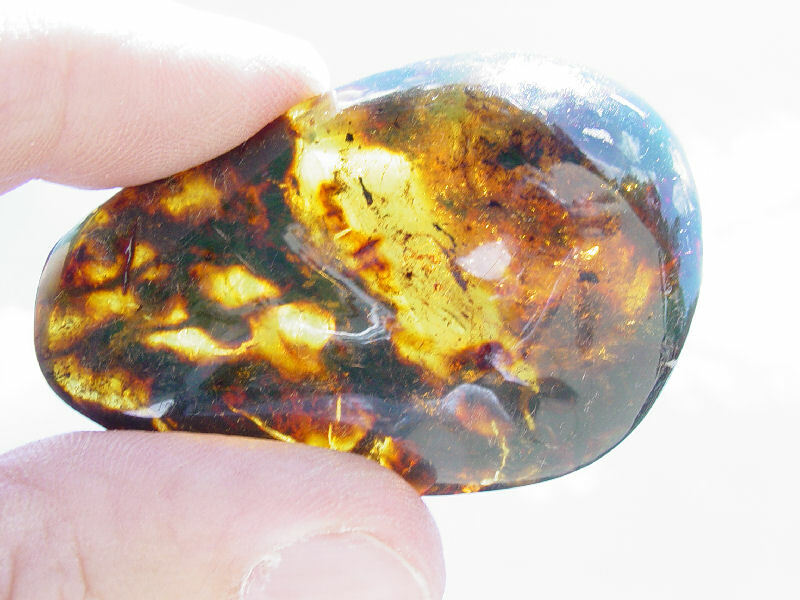 Here is the perfect cab shape deep green amber. Great shape. One o the finest green colors that I have seen. This is a superb piece - 38.5 grams. This is really beautiful. 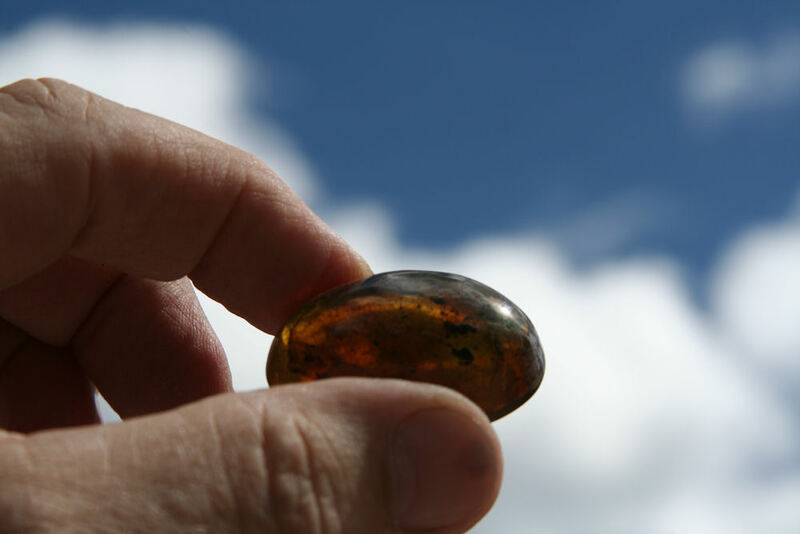 9.1 grams of green amber. Remarkably clear inside and still maintains it's green color - a real cool piece. 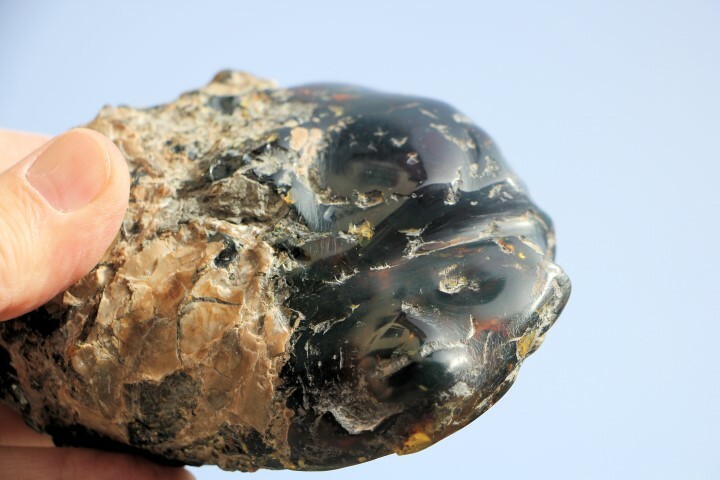 An unusual shape, with a great green color. You look at this and wonder what beautiful shape it will end up as. This is a good piece - 26.2 grams. 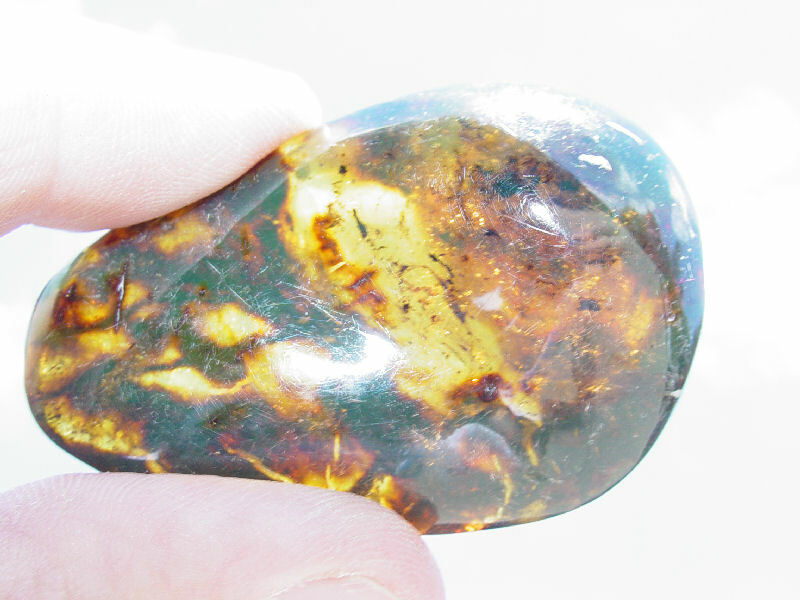 31.0 grams - green - this also has an irregular shape with so many possibilities. A good piece for anyone. 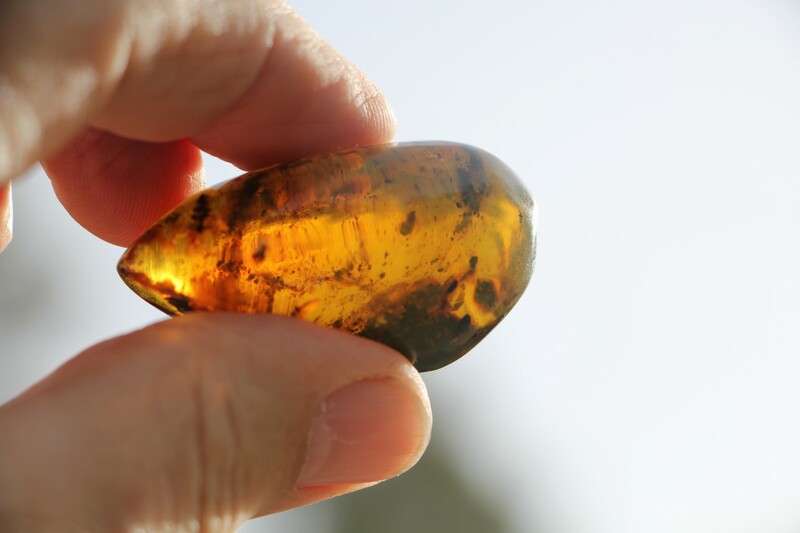 Wonderful shape with great green color - almost cab shape wit the bottom half not polished. This weighs 15.4 grams.